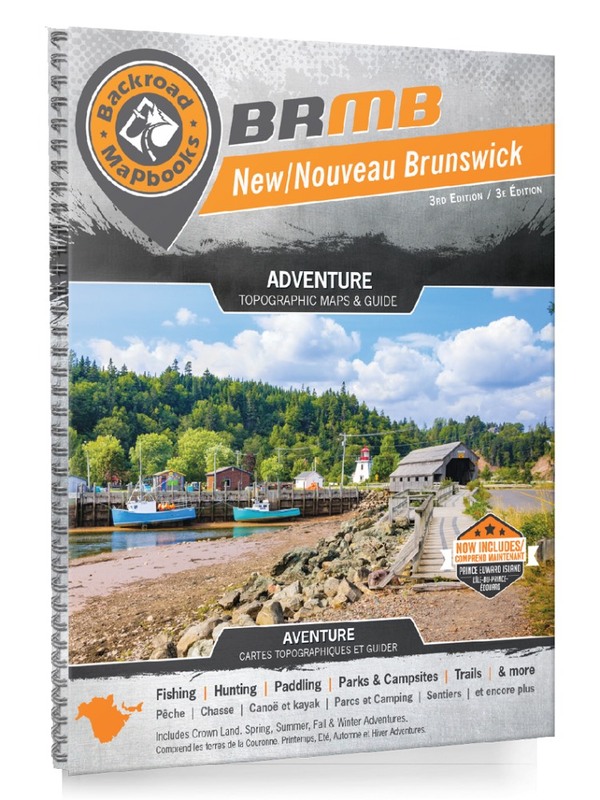 These recreation topographic maps for New Brunswick highlight all the logging/resource roads, hunting areas, fishing lakes & streams, campsites, paddling routes for canoeing and kayaking, wildlife viewing areas, motorized trails for ATVing and snowmobiling, multi-use trails for hiking, mountain biking, backcountry skiing & more. Featuring 66 maps at 1:200,000 scale, this Mapbook covers 124,830 km2 (48,200 mi2) in total and also includes all of Prince Edward Island. Also included are parts of Nova Scotia, Maine and Quebec for a seamless transition into those border provinces and states. New features include enhanced Crown land data, the addition of new Prince Edward Island maps and countless updates to roads, trails and recreational Points of Interest. Included on these maps are Alma, Bathurst, Bouctouche, Campbellton, Charlottetown, Dalhousie, Edmunston, Fredericton, Fundy National Park, Kedgewick, Kensington, Kouchibouguac National Park, Miramichi, Moncton, Mount Carleton Provincial Park, Richibucto, Saint John, St. Andrews, St. Martins, Souris, Sugarloaf Provincial Park, Summerside, Sussex, Tignish, Woodstock and more!